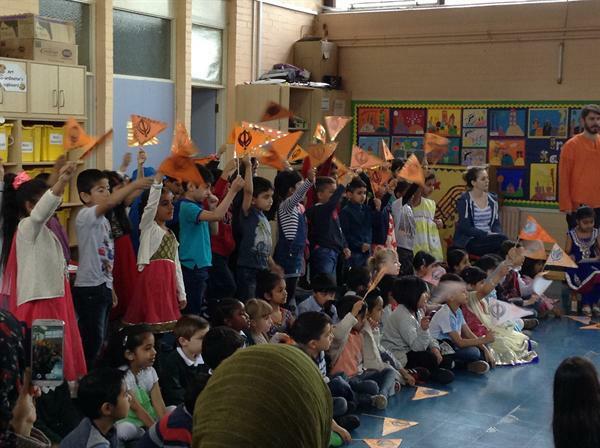 What lovely Baisahki celebrations we held in school on Friday 17th April. 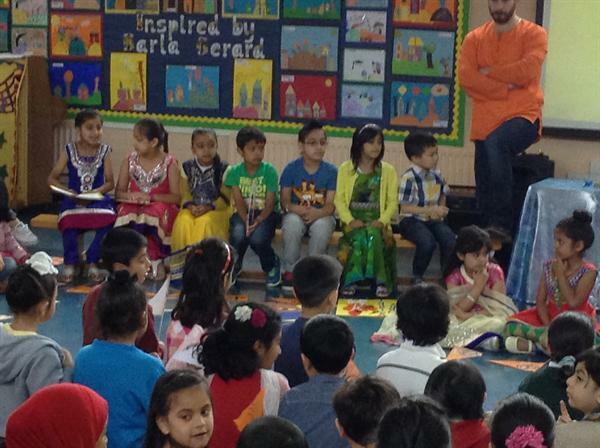 Mr Lamorte led two special assemblies that were very well attended by Year 2 parents. We sang lots of songs and Mr Lamorte told us all about the Sikh flag named the Nishan Sahib and the symbol on it called the Khanda. Year Two told us all about the 5 Ks, Year 1 showed us their Nishan Shahib's that they had made and Reception showed us their Vaisakhi cards. 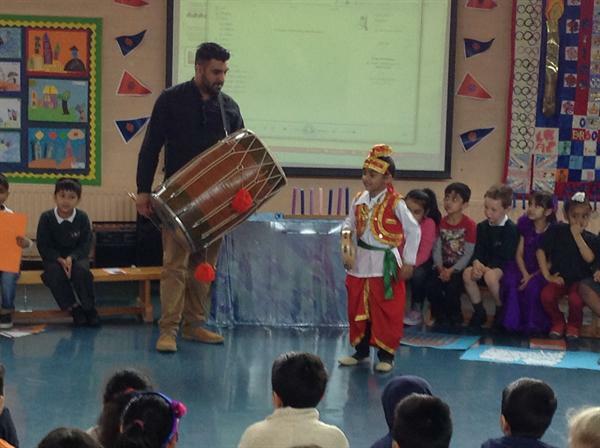 We were also given a very special treat as Mr Singh and his boy, a child in RRA, did a super musical performance for us all playing the Dhol drums and tambourine. It really was fantastic and very noisy. Everyone loved waving their flags as they played their way out. It really helped to make the assemblies very special, so a HUGE THANK YOU to them. The children all looked fantastic in their home clothes and went on to enjoy special celebrations in their classrooms in the afternoon. What a busy day!! Take a look below to see pictures and a short movie of our Vaisakhi celebrations. Hall Green Vaisakhi Celebrations from HGIS-Videos on Vimeo.